Once again, this is for all pedestrian and vehicle traffic. Only essential services personnel should be out. All businesses are closed and the sale and distribution of alcohol is prohibited. The curfew is mandatory and will be strictly enforced, according to the City. If you are one of those without power, Ocean Drive businesses have launched “Chill and Charge” to help. For a list, see the Ocean Drive Improvement Association’s Facebook page. Need a place to stay while you wait for the power to come back on? 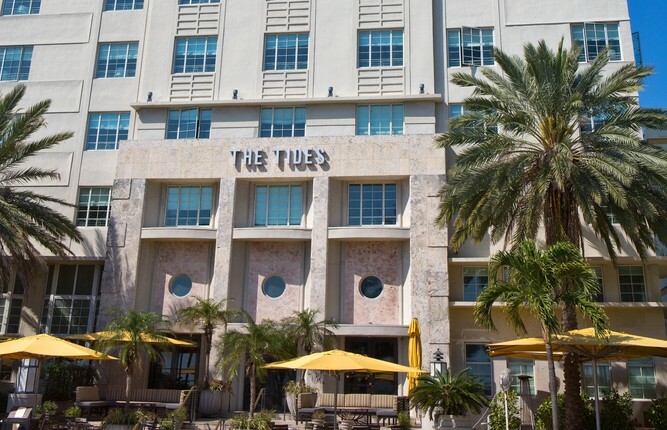 Miami Beach Hotels Offer Special Hurricane Recovery Rates for Residents (good until Monday). Miami Beach City Hall reopened today! North Beach Building Department Office at 962 Normandy Drive reopened today as well processing emergency Hurricane Irma minor repair permits only. Further information about the building department’s efforts to help homeowners recover as well as when normal services will resume can be found here. Mosquito season: And, if there isn’t enough to think about… remember it’s mosquito season. Be sure to protect yourself and wear mosquito repellent and drain any areas of water as you clean up from Irma. The City notes that the tiniest amounts of water can be mosquito breeding grounds. Even plants – bromeliads especially – can hold water that attracts them. Finally, the City has confirmed that Miami-Dade County will resume its regularly scheduled mosquito control spraying on Monday, September 18. More information on the County’s mosquito control efforts can be found here. IRS Relief: You may qualify for IRS relief due to Hurricane Irma. 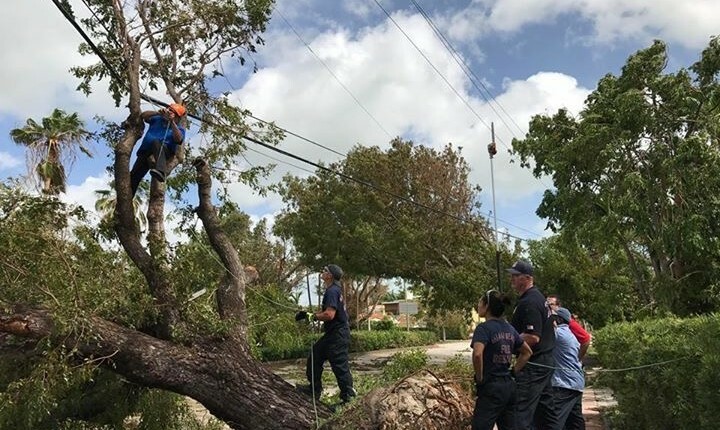 As a result of the disaster declaration for the State, most residents and business owners are eligible including those in Miami-Dade County. Details here. There is another mandatory curfew for tonight, though later – from 11 pm until 7 am. All businesses will be closed during these hours and the sale and distribution of alcoholic beverages is prohibited during this time. The curfew is for cars and pedestrians. The only people who should be out and about are essential services personnel. The City emphasizes this is a mandatory curfew and will be strictly enforced by the police department. What you need to know now regarding power outages, garbage pickup, and what to do with your debris. The City of Miami Beach will open all causeways at 8 am tomorrow, September 12th... four hours ahead of previously announced. For security reasons, a valid resident ID is required for entry. Be aware of possible fallen power lines--most of the city is still without power. Fallen trees may be blocking some roadways. Report any smell of natural gas. A number of intersections have traffic signals that are not working properly. Please treat those intersections as a four-way stop and use caution. Miami Beach Trolley service will be operational at 8:00 a.m. tomorrow. Free parking in public garages will be extended until Monday, September 18th, in order to allow people who are traveling time to return home. To address peoples concerns regarding potential looting and criminal behavior, our police department has implemented an Alpha Bravo schedule. Half of the police department, over 200 uniformed police officers, will be patrolling the city all night. Every major artery and residential neighborhood will be aggressively patrolled through the night and into the morning hours. Miami International Airport will resume passenger and cargo flights on a limited basis tomorrow, Tuesday, September 12th. Passengers should contact their airlines first to determine flight status. City offices and services are closed until further notice. Damage assessment is ongoing. The City asks everyone to remain in their homes today. Curfew: Still in effect for tonight, though hours have been extended to begin at 7 pm until 7 am tomorrw. The curfew includes "all pedestrian and vehicular movement, except for those individuals or entities designated for essential services such as fire, police and hospital services," according to the City. Reentry: No cars will be permitted to enter the City until Tuesday at noon and all entrances to the City are now blocked. Anyone leaving the City now will not be allowed to reenter until noon on Tuesday. According to a City statment, "There are dangerous areas with downed power lines, gas leaks and debris that need to be cleared. While teams are clearing the city, please do not leave your homes." **Please heed the City's warning: "Do not drive or walk through standing water. Standing water poses significant threats to life as there may be downed power lines and debris that you can't see which can cause electrocution or significnat harm to life." Order of reentry: Once safe, the City will begin to allow reentry. Residents first and then business owners, their employees and contractors. Residents must show a State ID or other documentation showing proof of residency in Miami Beach. Business owners, their employees and contractors must supply the proper documentation they were given prior to evacuation. Transportation: Once roads are clear, transit services (County buses and trolleys) will resume. Parking garages will reopen and begin charging for parking on Wednesday at 9 am. However, free parking will be extended in garages -- where cars are stored -- until Monday, September 18. Miami International Airport: No passenger flights are scheduled at MIA today, September 11. Some airlines will fly personnel and crew members into the airport in preparation for flights to resume. "After damage assessment, we will determine if passenger flights will resume Tuesday, September 12," according to the airport. Media reports show extensive water damage in some parts of the airport. Schools remain closed until further notice. Miami-Dade County offices will be closed Monday, September 11 and Tuesday, September 12. Earlier this morning, Hurricane Irma made landfall in the Florida Keys and is now in Florida Bay. Miami Beach is currently experiencing tropical storm-force winds (+40 mph) until pre-dawn tomorrow and stronger hurricane-force gusts (80-100 mph) throughout today. Extreme winds are causing trees and power lines to go down. The National Weather Service has issued a Tornado Watch has been issued for all of South Florida, including Miami-Dade County. We are anticipating 4-5 feet of storm surge flooding and tropical-force winds through Monday afternoon. The City of Miami Beach has issued a mandatory evening curfew for the next two nights. Tonight and tomorrow night, starting at 8:00 p.m. through 7:00 a.m, please remain indoors. All businesses will be closed during this period. During the day tomorrow, please remain inside until the city has determined it is safe to move about. For your safety, access to Miami Beach will be prohibited until all the roads are clear. Please do not begin returning to Miami Beach until city officials have determined it is safe. Currently, there are many downed trees and power lines, gas leaks, and other hazards that pose a threat to your safety. Emergency services have been suspended until sustained winds are under 40 mph and WILL NOT resume until it is safe. Please stay tuned for future updates from Miami Beach. For life threatening emergencies, please call 9-1-1. For all non-emergencies, please call 305-673-7736. We are experiencing power outages citywide. You can report outages to FPL by phone: 1-800-4OUTAGE (800-468-8243) or online. You can also check the status of a request online. You can report gas leaks via the phone: 1-877-TECO-PGS (1-877-832-6747) or online. Atlantic Broadband will be down throughout the rest of the day due to power issues. FPL has placed the Atlantic Broadband facility on a critical list and will restore services once conditions improve. The City of Miami Beach will continue to update residents through our social media. Please follow us on Twitter and Facebook. We are likely to get a direct impact or a close call. Evacuation orders are in effect for Miami Beach. The Mayor urges everyone to evacuate now as "At a certain point, our first responders will no longer be able to go out." Governor Scott says, "If you are concerned that you do not have a way to evacuate, please call our transportation hotline at 1-800-955-5504. We will get you out." For residents with special needs: If you require evacuation assistance you must pre-register with the Miami-Dade County Emergency Evacuation Assistance Program. To register or update your information, log on to the County's website or call 311. Miami-Dade County will NOT inquire about anyone's immigration status at its shelters. Parking: City says, “Participating municipal parking garages will be made available for residents to safeguard their vehicles during hurricanes and tropical storm events that impact Miami Beach. Residents may access participating municipal parking garages to store their vehicles at their own risk. For more information, call the Miami Beach Parking Department at 305.673.7505.” Note: Does not include City Hall garage. Trolley Service: Miami Beach trolley service will cease operation 3 hours prior to forecasted winds reaching 39 mph. Service will resume as soon as possible. Miami International Airport will wind down operations Friday with the last departure being AA2213 to DFW at 3:49 PM EST. Sandbags: FREE sandbags available at new locations tomorrow (Thursday, Septembr 7) from 6am to 7pm: 79th Street and Collins Ave and at 5th Street and Ocean Drive. 10 bags per family and please bring your ID. Today and again tomorrow (Thursday, September 7). Download the Zello app. Tips on using it during a disaster (used during Hurricane Harvey). Walie talkie type app. Miami Beach police spokesman Ernesto Rodriguez says however, there is a lot of misinformation on this one. "Please know that apps like these DO NOT work without Internet or cell signal." Schools closed Thursday and Friday. City Hall will be closed Thursday and Friday. Code Compliance Lobby Window closed to the public at 1 pm today until further notice. Check on events before you go, before and after the storm. List of all cancelled municipal events and programs is here. 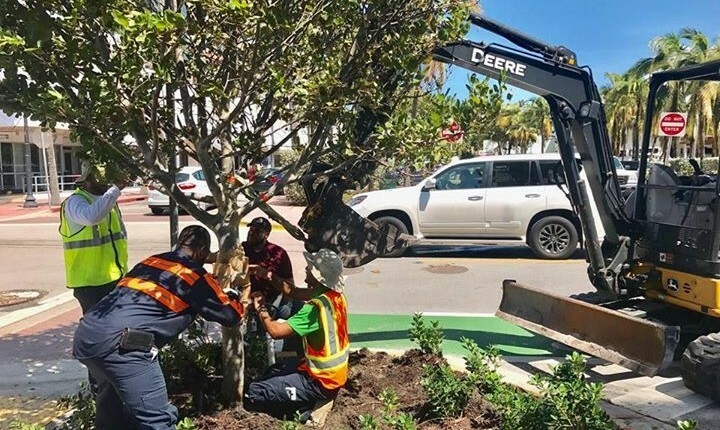 From the City regarding returning to Miami Beach: Miami-Dade County and the City of Miami Beach will work together to determine a full or phased re-entry based on initial damages. For the safety of our community, Miami Beach Police will be monitoring re-entry into the city once the storm passes. Residents must provide a proof of residency with a federal ID and/or utility bill for re-entry. Employees who work in Miami Beach must provide proof of business ownership or a letter from an employer to re-enter Miami Beach. In regards to condominiums and hotel staff, Miami Beach Department of Emergency Management pre-registers representatives from each property. Those property owners or designated representatives are issued hang tags that corresponds to their drivers licenses so they can be allowed back into Miami Beach. This is done so that a limited number of people can re-enter with the sole purpose of damage assessment. After a storm, engineers and property managers from these properties are the ones qualified to give initial damage assessments, while the residents of the condos and the guests of the hotels are in safer locations. Follow us on Twitter (@RE_MiamiBeach) and Facebook for updates. We’ll include gas, water, supply, and other updates as they are available. We're also on Instagram (remiamibeach). closed "at least until october 1st"